It’s been a solid three years since Victoria and I have been to a stadium show (Coldplay circa Mylo Xyloto), so I forgot just how different a show with thousands upon thousands of people can be. When we first walked through the doors of the Quicken Loans Arena, there was a just married couple standing next to us in line. The woman was wearing her wedding dress and the man was all decked out in his tux, so I knew right from the start that the crowd was going to be a crazy one. People showed up in sequined leggings, cat tails, leather trench coats circa The Breakfast Club, and everything in between. What I found to be really amazing was the age range at this concert; from toddlers to grandparents, we saw it all. Anyways, Cage the Elephant opened the show at precisely 8:00pm sharp which was quite refreshing because usually bands take their sweet time to come on stage. The arena was relatively empty when they started playing, but slowly yet surely people starting packing in as Cage the Elephant’s thirty minute set came to an end. It was quite the set and I wish more people had been there for it because Matt Shultz, the lead vocalist, put on an impressive performance. He was galloping across the stage like a beautiful gazelle the entire time which I found to be amazing considering his voice was seemingly so strong throughout each song. Unfortunately his voice was just too good to be true because when he set his mic down to take off his shirt the music kept on going. Lip syncing is just one of those things that I go back and forth about. On one hand, I think it’s stupid to lip sync — if I wanted to listen to a band’s recorded tracks then I could do that at home for free. It feels disingenuous to pay over $75 for a live show and not even get live vocals, but on the other hand if I got up on that stage in front of thousands of people, started dancing around like Matt, working up a sweat, I wouldn’t be able to breath let alone sing for thirty minutes straight. Matt’s energetic performance was fun to see and the music was great regardless of whether he sang it live or not, so I don’t mind that he lip synced. 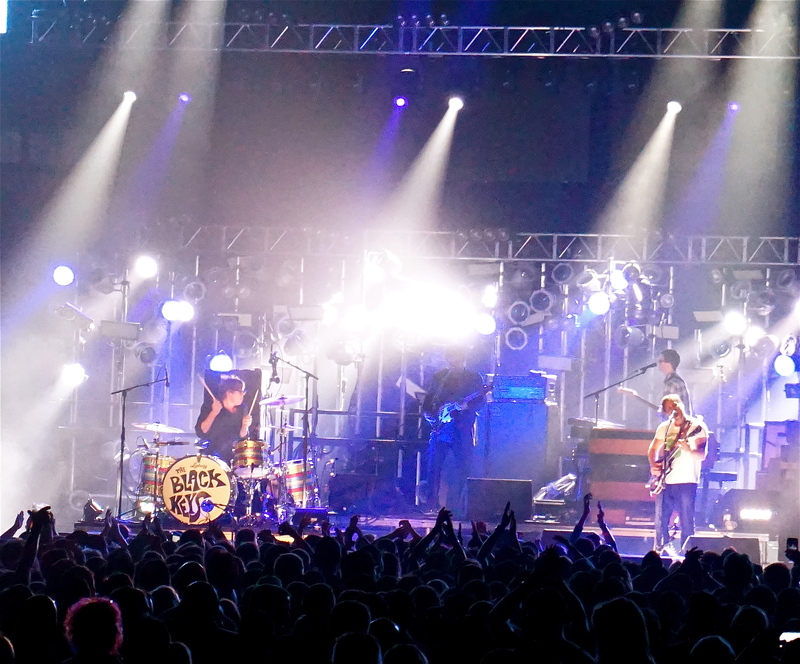 Once Cage the Elephant finished their set, everyone started getting restless in anticipation of The Black Keys. 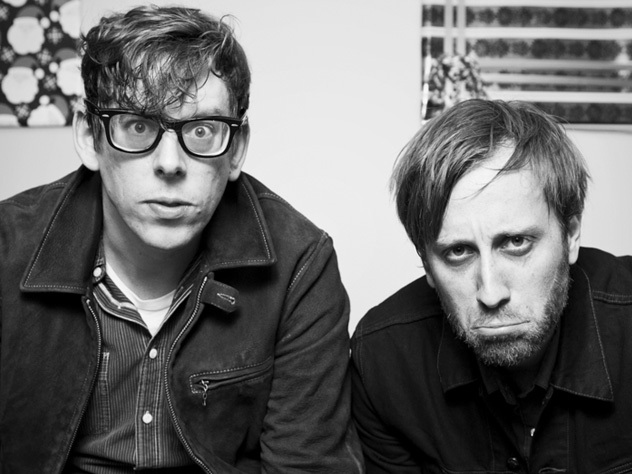 Obviously once The Black Keys came on stage everyone stood up, started cheering, and the band started playing, but the real show didn’t start until about the third song when the curtain behind The Black Keys literally dropped, unveiling about ten huge screens and creative lighting. The screens started flashing back and forth from a live feed of the band to various abstract colorful, psychedelic patterns which spiced up the show since The Black Keys aren’t really ones to move around the stage all that much. I completely respect that though because at least they sounded as good live as they do recorded. There was so much energy in the crowd that it almost didn’t matter what was happening on stage; everyone was trying so hard to dance like crazy that it was just amusing to people watch. For example, there was a 50 year old woman in front of us who was doing an Elvis, Miley Cyrus, Nicki Minaj dance move mash up the ENTIRE time. People just don’t dance like that at pop concerts; rock n’ roll truly does bring out the crazy in all of us. Before you get back to your life, I just want to say a few things about stadium concerts. I think they are good in that more fans have the opportunity to see their favorite band, but for the most part I’m not a huge proponent of stadium shows for three reasons. One, it feels impersonal. When I go to a show it’s always nice when a band engages with the audience because it forms a connection between the crowd and the band. That connection is just not something you get in a huge arena full of thousands of screaming fans. Two, I don’t like stadium shows because unless you’re a foot away from the stage, it’s impossible to see anything. Yes, maybe it’s because I’m short, but once everyone stood up for The Black Keys I couldn’t really see them. Even if you’re ten feet tall it’s still hard to make out what the band is doing on stage because the stage is so astronomically far from the majority of the seats in the arena. 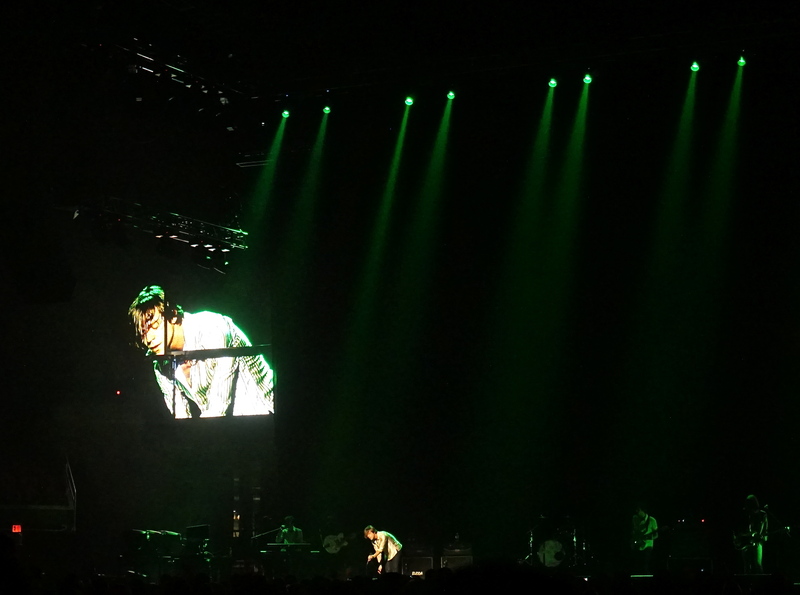 Most bands have screens around the arena with a live feed of them, but for some reason neither Cage the Elephant nor The Black Keys did. They had two screens on either side of the stage, but they were small and hard to see once people stood up. Also, the live feed was either blurry or used terrible effects that rendered the video pointless. Even if the live feed of the band is good and projected on multiple screens, it still isn’t the same as actually being able to see them. Live feeds tend to just focus on one band member at a time, but it’s cool to see how each member of the band interacts with each other. Additionally, if you can only see the screen and the screen is only showing one band member at a time, then you run the risk of missing something unbelievably awesome that another band member is doing at the same time. Conclusion: Cage the Elephant and The Black Keys were enjoyable and are incredibly talented dudes but it would have been ten times better had it been in a tad small venue. This entry was posted in Concert Reviews and tagged akron, akron bands, akron music, arena, bands, cage the elephant, cleveland, Cleveland Music, clevelandconcerts, concerts, elvis, matt shultz, miley cyrus, music, nick minaj, quicken loans, quicken loans arena, stadium, the black keys, the q. Bookmark the permalink. Cage the Elephant is just really bad at lip-syncing. I have just come back from a show (like maybe an hour ago) with them headlining along with Portugal the man. Their lip-sync is actually pretty insulting to anyone who knows how a microphone works, and at this point, I would like to think that that’s everyone, but apparently not. You just can’t do things like jump four feet in the air while singing and not have your voice fluctuate, or take the microphone from you face and point it to the crowd for a full verse of a song (which happened a lot) and not have the vocals that you are actually supposed to be singing sound different. No; all was studio quality no matter what he did on stage. I could have played this to myself at home on iTunes instead of paying $150 for my wife and I to see this “live”. They threw a good concert; if you can call that a concert. I’m a computer engineer and I work mainly on audio engineering, so I want to support the industry, but this was terrible.